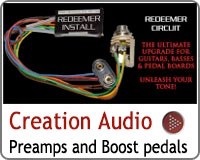 If you want more control over the sound of your bass from the bass itself, then an on-board preamp gives you access to certain frequencies that can help shape your sound on the move whilst playing without going to you amp or pedalboard. We offer some of the most advanced preamps on the market and are always working with our manufacturers to give bass players what they really need for working with. A preamp as part of a great bass with good quality pickups can put you back in the driving seat and open up a big range of tones should you need them. 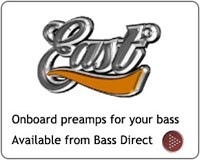 In addition to you pickup pan or selector cutting a boosting highs, mids and bass can give you more room n the mix and help tidy up your sound when playing live, one of the benefits of a preamp is the consistent output regardless of guitar lead length etc. Please contact us for more information for general advise. 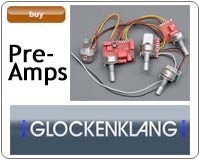 A preamp is just as it sounds, a pre-amplifier. It is an electronic amplifier that prepares an electronic signal for further amplification through your basses amplifier or signal processing chain through say a pedal board,mixing board, before hitting the end of the signal such as your amp or USB interface for recording. The idea of a preamp started with the need to amplify a low level signal, most likely from high impedance pickups, to line level. 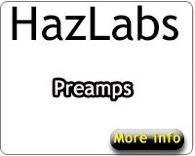 Preamps are used in many transducers in audio applications such as pickups and microphones. Equalisation and tone control are used in many preamps found in the music industry. 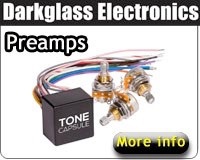 What preamp will fit my bass? This varies from instrument to instrument. Fitment and size restriction is always something to consider when purchasing an onboard preamp. If the instrument is equipped with a rear route, battery compartment, and has a control cavity depth greater than 1.25", many if not all of the preamps we carry will fit just fine. For situations like a Jazz bass or P-bass where the controls are top routed and mounted to either a control plate (Jazz Bass), or pickguard(P-bass) fitment can be slightly more difficult and we recommend consulting us for assistance on preamps outside those listed as retrofit for these style of basses. What is the difference between 9 and 18v preamps? This is dependent on the preamp. The option to run additional DC voltage to supply more power to the preamp is there to increase the headroom of the preamp since there would be less of a chance of the signal getting clipped due to lower or inconsistent voltages. This is not necessary for everyone and is a preference on a user to user basis. Some feel that running 18v for the additional headroom is worth the additional routing for a battery box, and some do not. Bartolini - Can run either 9v or 18v. 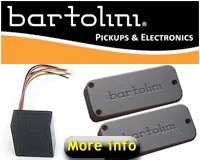 An extra battery clip is included with the Bartolini preamps to make them 18v operable if an 18v battery box is equipped. Aguilar -Can run either 9v or 18v, you just need an extra battery clip. Additional 6dB headroom with use of 18v power. East - All East preamps can run 9v or 18v power. Additional battery clip not supplied. Modification is required to install battery clip. 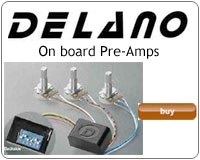 Delano -Can run either 9v or 18v. Additional battery clip not supplied. EMG - Can be run 9v or 18v power. EMG kits are supplied with only 1 battery clip for 9v. Additional clip will have to be soldered in as there is not a modular solution available and soldering the wiring is recommended. What is meant by the terms ‘active bass’? Generally speaking, the term means that there is a battery in the bass. Most commonly, the battery is being used to power a preamp. The preamp uses a battery and thus the instrument is powered (active). Occasionally, the pickups are active; a bass with active pickups would, of course, also be considered active. Most pickups (even in ‘active basses’) are actually passive. A bass can have an active preamp with passive pickups: This is the most common scenario. EMG, MEC and some others have models that are active and require a battery. Sometimes these pickups are used with preamps as well, but not necessarily. Do I need active./passive switching? Some instruments have a switch which changes the signal from active to passive. This switch is not changing the pickups, or how they function: the switch is not making a pickup active or passive. It is changing the signal path for the controls. More precisely, an active passive switch is a bypass switch. When in 'passive' mode, the signal bypasses the active part of the preamp (which is typically the EQ section). Do I need Active pickups to work with a preamp? No. Most aftermarket preamps are designed with passive pickups in mind. Do these preamps come supplied with knobs? Do the preamp come pre-wired? Bartolini - For the Three band:One of the modules is roughly 0.625"(15.8mm) x 1.19"(30.2mm) x 1.75"(44.45mm). Second module is 0.625"(15.8mm) x 1" x 1.25". For the Two Band:There is just one module and it is roughly 0.625" x 1.19"(30.2mm) x 1.75"(44.45mm). For OBP-1: 1" x 1" x 0.625"
Some preamps have a gain control to adjust the overall output level. Bartolini - Gain adjustment is available on unit. Aguilar - No gain adjustment available. East- Gain adjustment available on unit. Glockenklang - No gain adjustment available. Delano - No gain adjustment available. 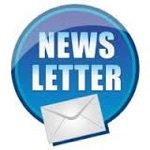 Nordstrand -Gain adjustment available on unit. EMG - No gain adjustment available. Here are some explanations to the acronyms uses on our site. V A/P or VPP:This stands for Volume Active/Passive and is a single Master Volume Control intended with a DPDT switch on the body of the pot to allow switching from Active to Passive or vice versa and serves as the main preamp bypass. V/V:This stands for Volume/Volume and is a stacked Volume of Volume control to be used to control two different pickups volume from a single potentiometer. MPP:This stands for Mid Push-Pull and is also a Potentiometer equipped with a DPDT switch to allow switching of the centre selected mid frequencies. T/B:This stands for Treble/Bass Stack and is a dual stacked EQ potentiometer that controls modulation of both the treble and bass frequencies. BL:This stands for Blend control and is used to control the mix of two pickups.